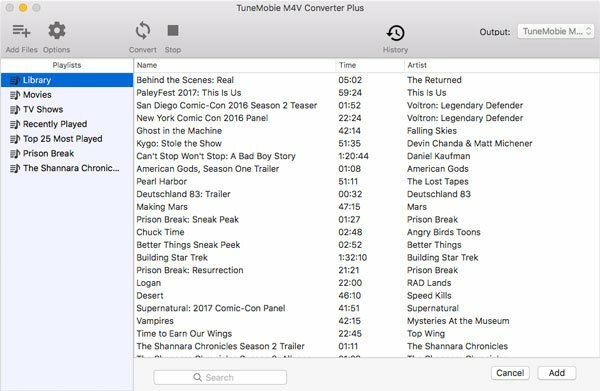 TuneMobie M4V Converter Plus for Mac - Enjoy your iTunes movies, TV shows and music videos on any devices without limitation. Watch your iTunes M4V movies, TV shows or music videos on the go with both Apple and Non-Apple Devices. 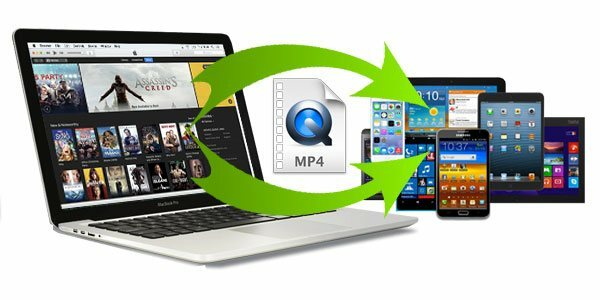 Follow the simple steps below to know how to convert iTunes movies and TV shows to MP4 for all devices. Launch TuneMobie M4V Converter Plus for Mac. Click "Add Files" button to load your purchases or rentals in iTunes library, the movies, TV shows, music videos and your custom playlists will be listed in the left panel. Select M4V videos in a playlist and click "Add" button to add the videos you want to convert. You can use Command or Shift key to add multiple videos. Click "Add Files" again if the videos are listed in different playlist. Search box is also available. 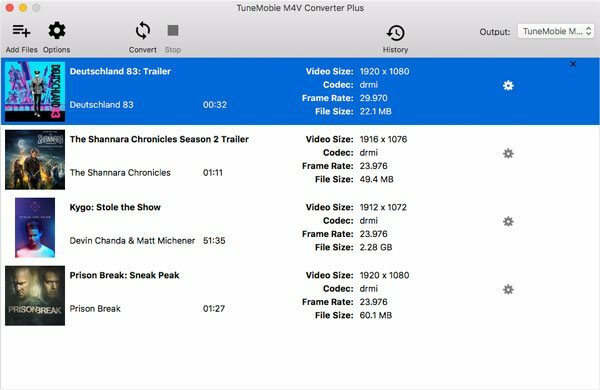 Click Convert button to start converting purchased or rental iTunes movies, TV shows or music videos to MP4 playable on all kinds of devices. 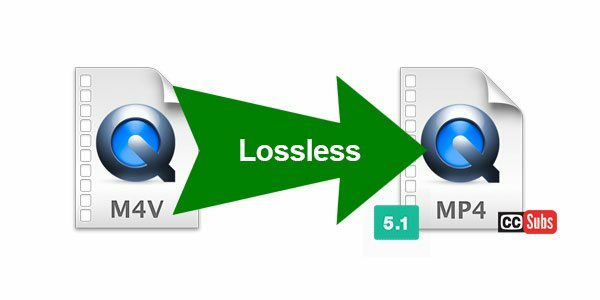 Simply copy or synchronize output MP4 to your devices for playback. It's a must-have application for all Mac users. I am very glad that I found your software. I have used it to convert my entire season of TV shows to MP4. MP4 is much more convenient. Really useful. I have an iPad and a Kindle Fire as well. Now I can enjoy the movies on both of them. I purchased movies and TV shows from iTunes store. But to be honest, I don't like the limitation and I have been thinking of converting the movies to MP4 so I can enjoy on all my devices. Your software simply get this idea done! I should pay you a compliment.